This class will focus on learning proper jazz technique such as isolations of the body, improving energy and endurance as well as developing complex rhythms and patterns. Students will be exposed to various styles of jazz including Luigi technique, Latin, Brazilian and Contemporary to help develop a well-rounded dancer. Class curriculum is based on ballet technique layered with traditional jazz movement and includes a warm-up, stretches, isolations, floor work, across-the-floor progressions, and combinations. Advanced jazz students will be expected to take risks exploring their own unique styles, as well as master the technique, speed of the movements, musicality, and flexibility. Combinations will become increasingly more complex and intricate. Our Jazz classes are separated into four different levels. This class emphasizes the development of tap technique & terminology with an introduction to various styles of tap. Students will explore coordination, single time steps, beginning turns, short combinations, and showmanship along with rhythm and timing within a wide range of musical accompaniment. 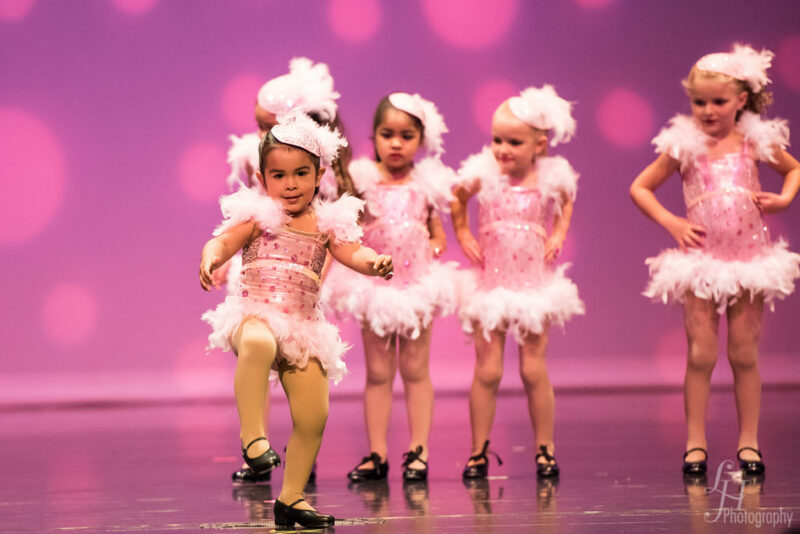 Class begins at the “tap barre” and progresses to center floor combinations and repetitive exercises, instilling a strong foundation for the beginner tapper. This class continues the development of tap technique & terminology. Students will further develop skills including musicality and sound clarity with an added focus on increasing speed, and developing style. Intermediate level tappers should expect to learn double and triple time steps, 3 & 5 beat riffs, pull-backs, pick-ups, more advanced turns, as well as more intricate rhythms. Class begins at the “tap barre” and progresses to center floor combinations and repetitive exercises, instilling a strong skillset for the intermediate tapper. – This class continues the development of tap technique & terminology. Students will further develop skills including musicality and sound clarity with an added focus on increasing speed, and developing style. Advanced level tappers should expect to master double and triple time steps, traveling time steps, 4 & 6 beat riffs, double pull-backs, pick-ups, more advanced turns, as well as more intricate rhythms and improvisation. Class progresses to center floor combinations and repetitive exercises, instilling a strong skillset for the advanced tapper. Tap has long been a popular dance form featured in club revues, Broadway shows and Hollywood films. This fun and challenging form of dance promotes a combination of rhythm, timing and coordination. Students develop musicality through various barre, center and cross-floor exercises and routines. We focus on proper techniques, clear taps and appropriate speed.